SEATTLE – Winter weather pounded a swath of the U.S. West on Monday, closing schools, delaying flights and turning streets into sledding hills in coastal cities like Seattle that rarely get much snow. 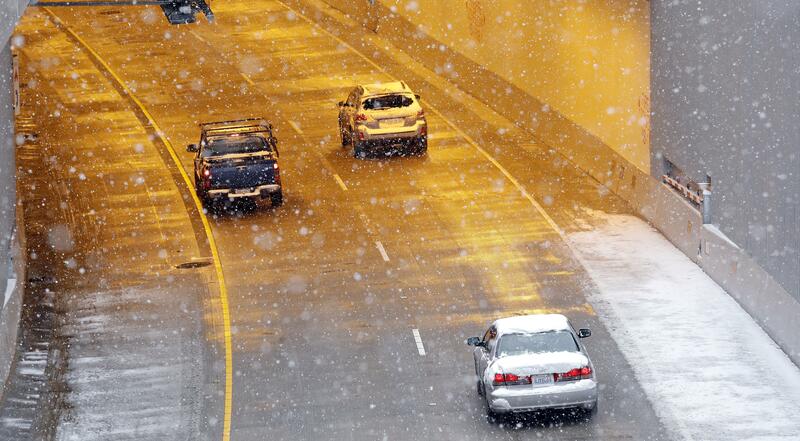 Some areas north and east of Seattle got 8 to 10 inches of snow. Temperatures were expected to be 15 degrees below normal this week, with lows in the teens, the National Weather Service said. “We’re kind of stuck in a cold pattern,” Moldan said. The weather service issued a winter storm warning for the Los Angeles and Ventura County mountains through Wednesday, with more than a foot ( of snow expected at higher elevations. A storm that swept across California and Nevada dumped as much as 8 feet of snow over the weekend, with much more expected. Published: Feb. 4, 2019, 11:54 a.m. Updated: Feb. 4, 2019, 5:21 p.m.